MegaMin Equine Enhancer is a premium triple action vitamin and mineral supplement suitable for all types of horses. HOOVES & COAT – Fortified with biotin (20mg per 100g dose), organic zinc and methionine to assist skin and coat condition and promote healthy hoof growth. GUT FUNCTION – Includes a prebiotic to help support a healthy hindgut and efficient digestion. 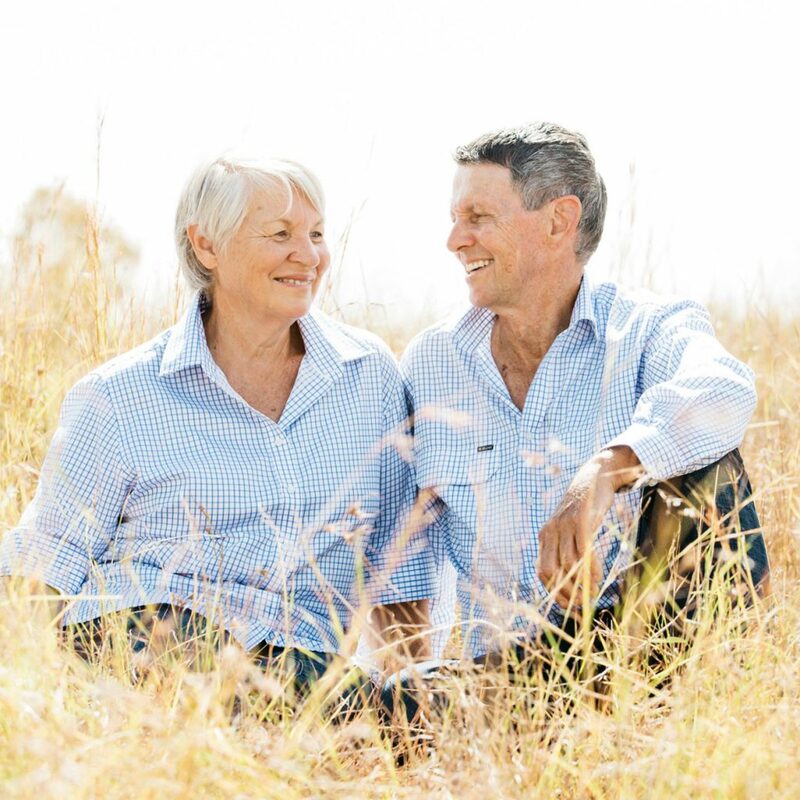 HEALTH & VITALITY – Contains AgSolutions’ unique blend of natural broad spectrum minerals as well as key vitamins for overall health. MegaMin Equine Enhancer is available in 2.8kg pouch, 10kg bucket and 20kg bucket. 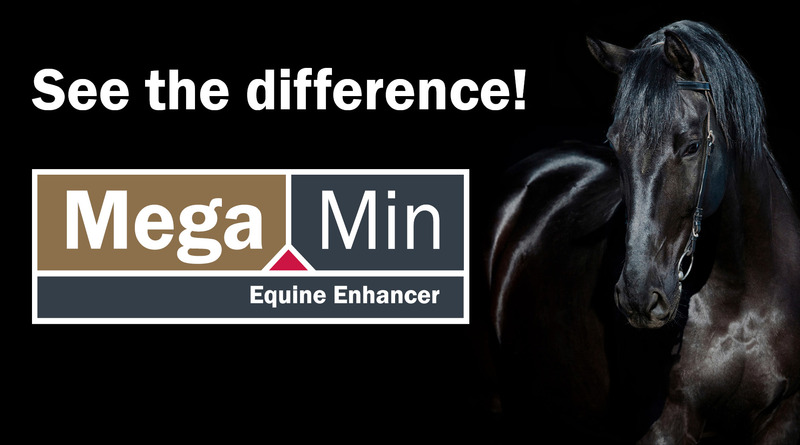 What makes MegaMin Equine Enhancer so special? Equine Enhancer is a revolutionary, triple action supplement that not only delivers the key hoof, skin and coat promoting ingredients of biotin, methionine and organic zinc, it also provides a prebiotic to assist the microflora of the hindgut to promote efficient digestion. In addition to these specialised ingredients, Equine Enhancer supplies a broad range of vitamins and minerals including the powerful antioxidants selenium and vitamin E for overall health and vitality. What makes Equine Enhancer different from other MegaMin supplements? 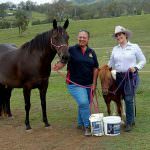 Equine Enhancer has been specially formulated in conjunction with a leading Australian Equine Nutritionist to meet the needs of horses with access to diets consisting largely of pasture and hay. 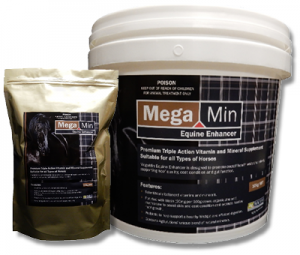 MegaMin Equine Enhancer is suitable for horses and ponies in all disciplines. 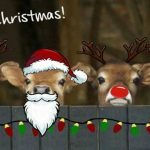 Why are AgSolutions minerals so good? MegaMin Equine Enhancer contains AgSolutions unique blend of naturally occurring earth and sea minerals derived from carefully selected ingredients to provide an exceptional array of broad spectrum minerals. Included are a host of important natural trace minerals such as chromium, boron and silica that are absent from many other supplements. Does my horse really need a mineral supplement? Minerals play important roles in physiological, structural and regulatory functions within the horse’s body and without a correct balance of minerals, including trace minerals, horses are unable to perform to the best of their genetic potential. 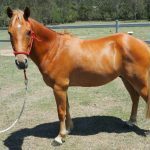 Australian soils, and consequently the pastures, hay and grain we feed our horses, tend to be deficient in a number of minerals. 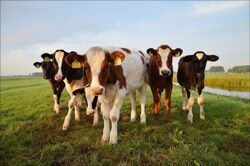 Pastures usually lack adequate quantities of copper, zinc, selenium and iodine and have variable amounts of calcium, phosphorus, sodium and chloride. Horses on pasture and hay based diets will usually require a supplement to replace shortfalls of essential minerals. Ensure horses ALWAYS have ad lib access to fresh drinking water and plain, free choice salt. To help provide a balanced diet for your horse it is a good idea to get a nutrient profile of the pasture and hay that your horse is eating. To obtain accurate nutrient levels of pasture or hay it cannot be guessed by simply looking at it or comparing it with similar looking examples. AgSolutions are now offering a hay and pasture testing service along with equine nutrition advice to support mineral supplementation in all types of horses.